Welcome to Kuala Lumpur. On arrival at the Kuala Lumpur International Airport, You will be met and transfer by road to Genting Highlands. On arrival, check-in at hotel.The rest of the afternoon is free for you to enjoy the Indoor & Outdoor Theme Park, Various Entertainment facilities, Casino de Genting etc. After breakfast at Genting Highlands, transfer from Genting to the Kuala Lumpur Hotel. While the rest of your day is free at leisure, we recommend shopping in Kuala Lumpur. 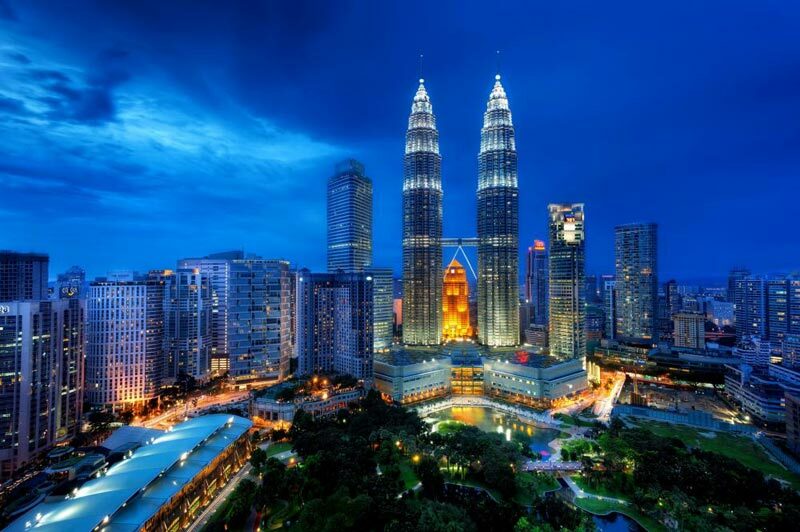 Malaysia is a premier shopping destination in South-east Asia. Spend the day at leisure. After breakfast, proceed for a half day City Tour of Kuala Lumpur. 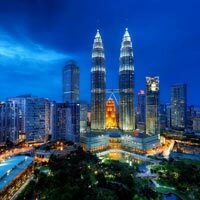 Half day Kuala Lumpur City Tour which includes National Monument, King’s Palace, Independence Square, Petronas Twin Towers (photo stop), Boutique Chocolate, National Mosque (photo stop) (SIC). Rest of the day free for leisure on your own. After your breakfast, proceed to Singapore. Arrive Singapore and transfer to the hotel. Later in the evening proceed for Night safari tour take a tour of the Jungle with complete safety and comfort of 40 mins tram journey of wild animals through the east and west loop. On completion of the tram ride, your guide will take you on a walking trail where you will be able to get a chance to come close with lions, tigers, tapirs, deer etc. After breakfast, proceed for the city tour of Singapore. 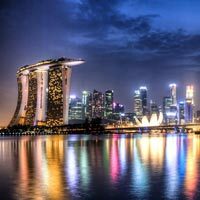 Explore the city by driving round the Civic district, passing by the Padang, Cricket Club, Parliament house, Supreme court and the City Hall. 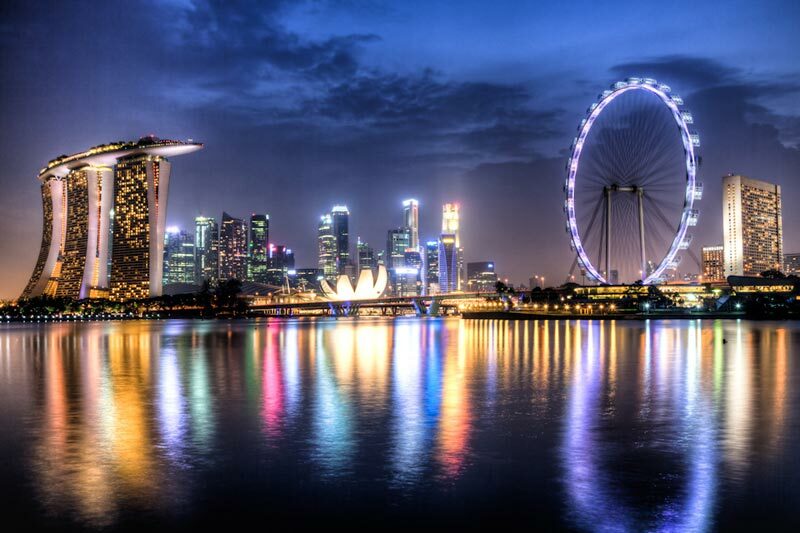 Also stop at the Merlion Park and enjoy the impressive views of the Marina Bay. 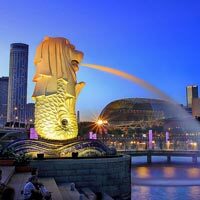 Also do not miss the picture taking opportunity with the Merlion – a mythological creature. Visit the Thian Hock Keng Temple, one of the Oldest Buddhist temple. Proceed to the National Orchid Gardens, located within Singapore Botanic Gardens. Then stop at the Little India where you can buy spices, joss and jasmine. Spend the time at leisure on your own. After breakfast, Later in the afternoon proceed for Afternoon till sunset at Sentosa. 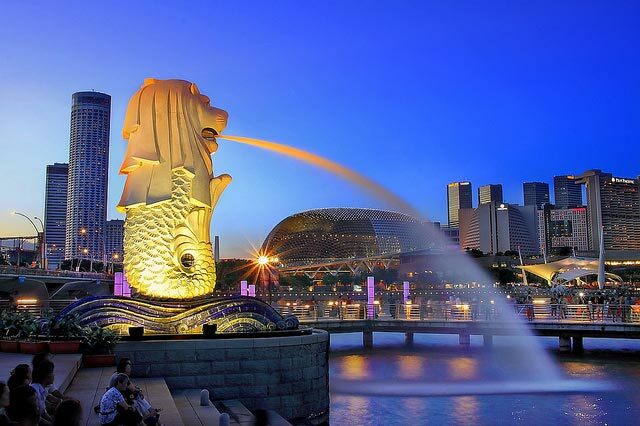 Enjoy the scenic cable car ride, underwater world, Dolphin Lagoon Show, Images of Singapore, & Songs of the sea. After breakfast spend time at leisure. Later proceed to the airport to board the flight for home/onward Journey.